Temecula Motorcycles offers new and used motorcycles in Temecula. We like to make sure that the customer finds the bike that they are looking for. If you’re looking for a motorcycle dealer with great customer service, awesome bikes, motorcycles parts, or motorcycle apparel, our Temecula motorcycle shop is the perfect place for you! We have a huge selection of motorcycles in Temecula, off road vehicles, motorsport vehicles, watercraft and more. We will help you find exactly what you’re looking for. We have the best motorcycles in the industry in our motorcycle shop in Temecula. We are dedicated to finding you the bike of your dreams. Whether your dream bike is off the line or custom built, you will be able to find it in our Temecula motorcycle shop. We have everything from luxury motorcycles to dirt bikes. It doesn’t matter whether you want race off road, cruise around town or ride everywhere you go, we have a variety of motorsport vehicles in Temecula. Motorcycles Offered: Honda, Suzuki, Kawasaki, Yamaha, KTM, Ducati, Triumph and Harley-Davidson. Boats, ATVS and other motorsport vehicles also offered at Team Rebel Racing in Temecula. We take great pride in the fact that our service is top notch. Our certified motorcycle mechanics in Temecula do it right the first time and make sure that you never have to overpay for the work that we do. Because we offer a free vehicle diagnosis, we save you time and money. We’ll be able to tell you what’s wrong with your motorcycle or off-road vehicle before a penny is spent. 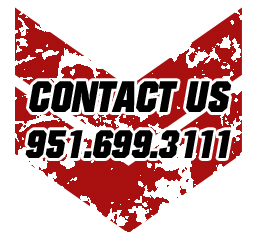 If you need the fastest and most efficient motorcycle repair service in Temecula, our motorcycle repair shop in Temecula is the perfect place for you. We’ll get you back on the road in no time, with your motorcycle or off-road vehicle running better than ever! Our motorcycle shop in Temecula has a huge selection of motorcycle gear. We offer everything from motorcycle helmets, jackets, gloves and other motorcycle accessories to a wide variety of motorcycle parts. Get the latest in protective gear as well as motorcycle brand clothing. The newest motorcycle parts as soon as they are released. Don’t wait around or worry about motorcycle parts not being in. Team Rebel Racing in Temecula makes sure that we have what you need and if we don’t then we will rush it in and get you on the road!